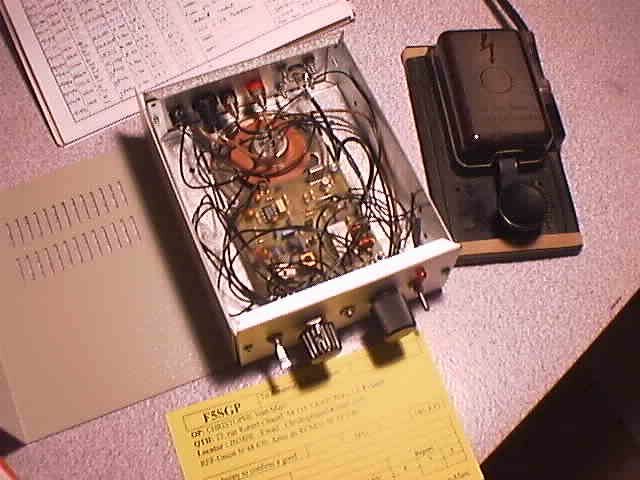 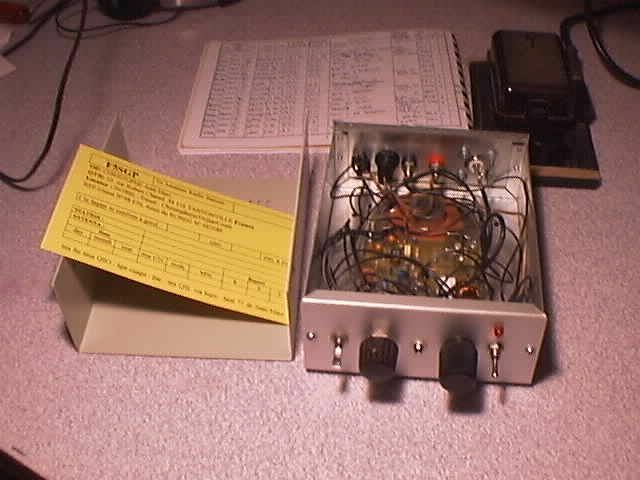 Jean-Marc's crystal-controlled QRP tranceiver is a design by F6BCU. 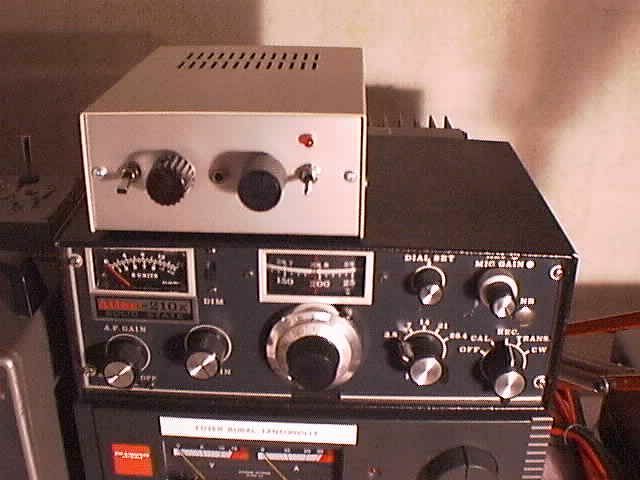 The receiver section is direct conversion using the popular NE612 (SA612/SA602/NE602) mixer and LM386 audio amplifier. 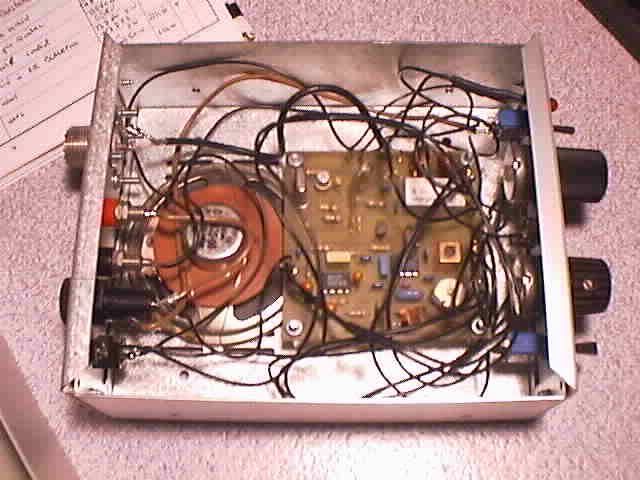 The transmitter section produces an output power of 1W.